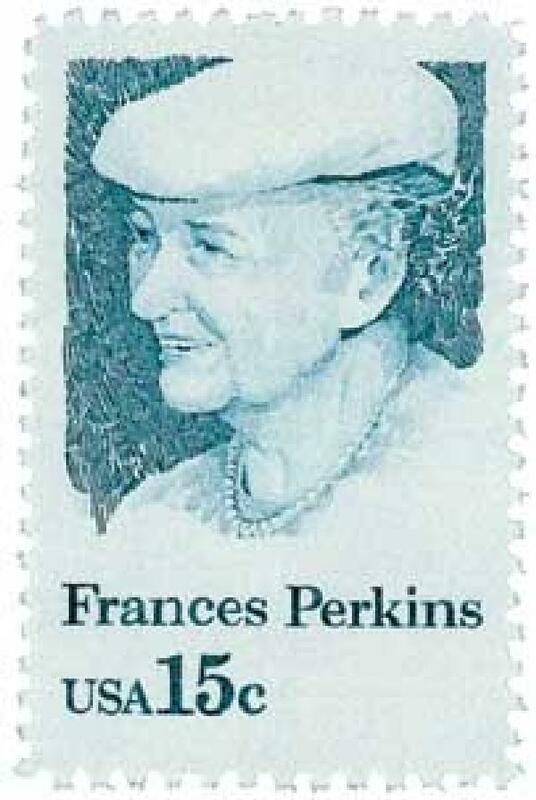 US #1821 was issued on Perkins’ 100th birthday. On February 28, 1933, President Franklin D. Roosevelt appointed Frances Perkins as head of the Department of Labor, making her the first woman to serve on a presidential cabinet. Born on April 10, 1880, in Boston, Massachusetts, Perkins attended Mount Holyoke College, where she earned a Bachelor of Arts degree in chemistry and physics in 1902. She went on to earn a master’s in political science from Columbia in 1910. US #3896 – Anderson was the 28th honoree in the Black Heritage Series. 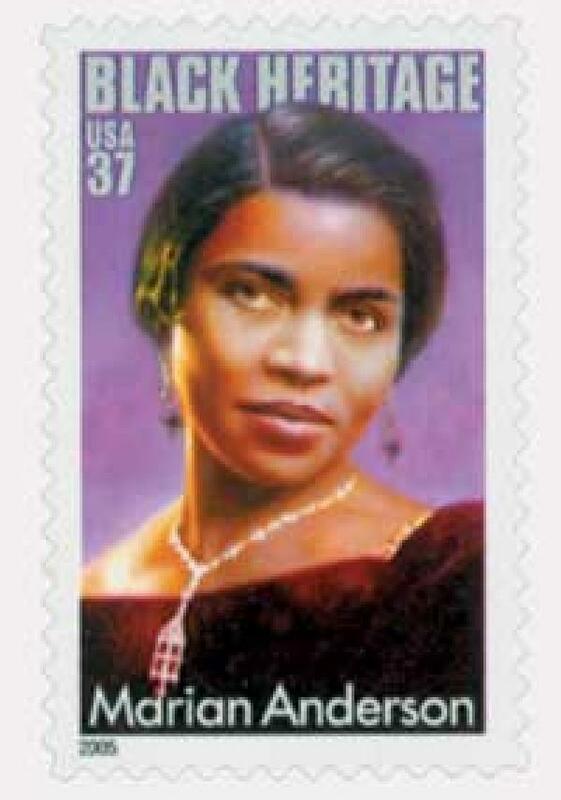 Marian Anderson was born on February 27, 1897, in Philadelphia, Pennsylvania. The oldest of three children, Anderson had a talent for singing from an early age. When she was six, her aunt noticed this talent and encouraged her to join the church’s junior choir. Her aunt also took her to see concerts in the city and arranged for Marian to sing at local functions. Later in life, Anderson acknowledged her aunt’s significant role in establishing her music career. 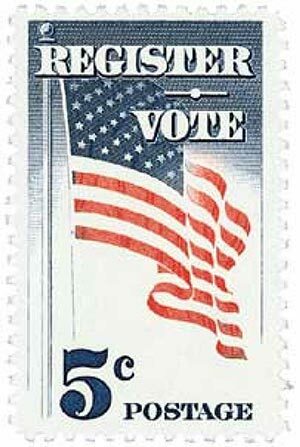 US #1249 is one of the few American stamps without US or USA in the design. On February 26, 1869, the US Senate passed the 15th Amendment to the Constitution, giving people of all races and colors the right to vote. The Amendment would be ratified and become official US law a year later. Following the issuance of Lincoln’s Emancipation Proclamation and the passage of the 13th Amendment that abolished slavery, Congress began to debate the rights of former slaves. Those African Americans would now be counted as citizens in the South, which would increase Southern power in the population-based House of Representatives. Northern Republicans hoped to decrease the South’s advantage by giving African Americans the right to vote. US #RJA9 – An early Narcotic stamp overprinted on a Documentary Stamp. On February 25, 1919, a Narcotic Tax was officially instated. 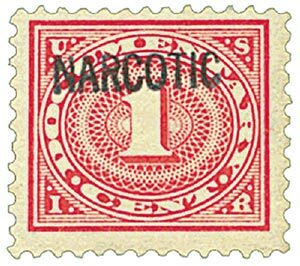 The Revenue Act of 1918 made Narcotic stamps necessary. The law was enacted during World War I to raise additional money to fund it. A portion of the law was written to amend the Harrison Narcotic Law of 1914. US #1040 from the Liberty Series. 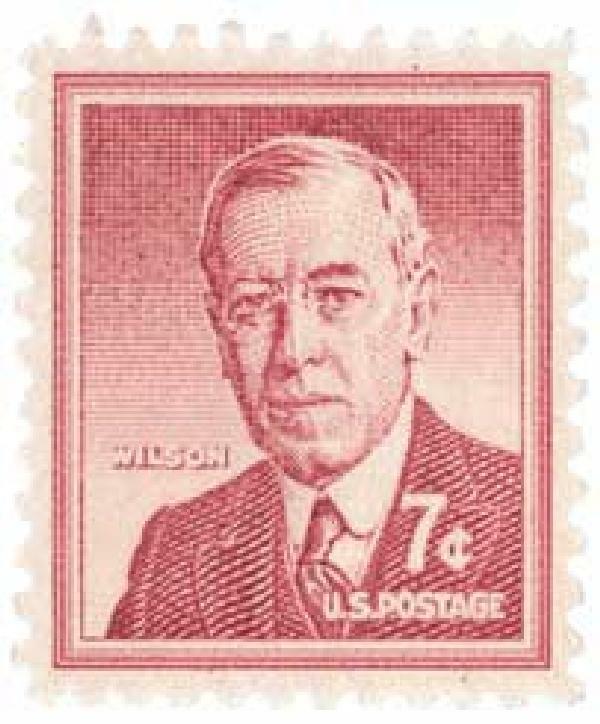 On February 24, 1917, British officials shared the Zimmermann Telegram with US President Woodrow Wilson, revealing a German plot to incite a war between the US and Mexico. Since the start of World War I, Germany hoped to create a war between the US and Mexico to distract the US and slow the shipment of supplies to the Allies. The Germans had sent weapons and funds to arm the Mexicans, increasing tensions and provoking the Battle of Veracruz. US #1633-83 was issued on this day in 1976. On February 23, 1976, the USPS issued its first 50-stamp se-tenant. 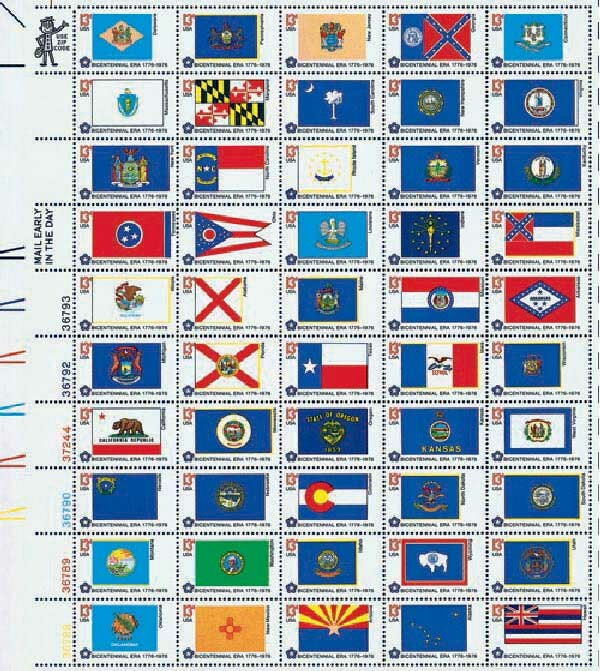 Up until the 1960s, when the US produced stamps, all the stamps on a sheet usually had the same design. They first strayed from this format in 1964 when the US Post Office issued its first-ever se-tenant.